At Escape Wellness Spa, we use only the most effective, healthiest, good-for-you products on the market. We believe what you put on your skin is just as important as what you put in your body for maintaining optimal health and well-being. We strive to use products with naturally derived ingredients, without parabens, toxins or harsh chemicals. CosMedix – The Chemistry of better skin care. 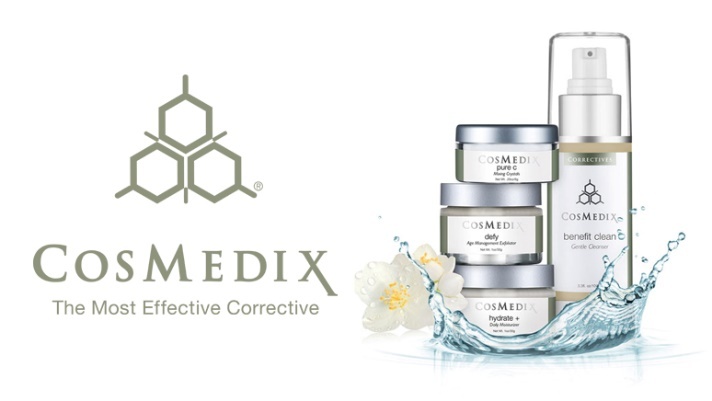 Since 1999, CosMedix’s mission has been to use the science of nature to deliver maximum skin care results. From day one, CosMedix has sourced the finest ingredients from all over the world. Borrowing from Nobel Prize-winning technologies and blending them with pure botanical ingredients to create skin care that affects real change. This intersection of science and nature is what makes CosMedix a leader in the industry and trusted by physicians, aestheticians and consumers all over the world. FarmHouse Fresh – Whimsical. Nostalgic. Giftable to even your finickiest friends. Each product is made with up to 99.6% natural and naturally-derived ingredients. Everything we make is Paraben & Sulfate FREE and our fragrances are all natural or phthalate free. Many of our products are also Vegan and Gluten Free. 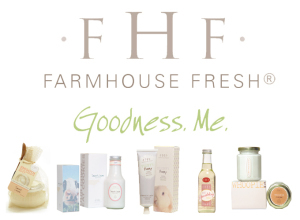 Escape Wellness Spa carries an assortment of FarmHouse Fresh products and we have special facial and massage treatments that incorporate some of our finest FarmHouse Fresh products! View the Massage Services or Facial page for more details! NEST Fragrances is a fragrance house founded in 2005 in New York City by the legendary Laura Slatkin, who has been dubbed "the queen of luxe lifestyle fragrances" by NewBeauty magazine (2015). We believe that mood matters: A quality fragrance elevates even the most mundane moments to an exciting event. It creates an atmosphere, an elegance that lights up the room. NEST Fragrances was created to cultivate a lifestyle that’s fragrance-forward. 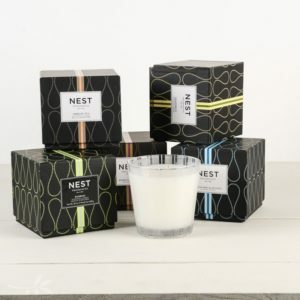 Nest Fragrances collections combines color, texture and fragrance to enhance your everyday living and entertaining experience. They won The Fragrance Award for “Interior Scent Collection of the Year”. The Fragrance Foundation Awards are considered the Oscars of the fragrance industry. Ambre Blends– The art of natural fragrance. Do you want to get complimented all the time? If so, Ambre Oil is for you! Do not underestimate the seductive and aphrodisiac qualities of Ambre Blends products! You will understand when you experience their power… and when others experience their power on you. Ambre Blends is the art of natural fragrance! Ambre Blends products are available in four delicate, all-natural essences. All of our products are made by hand with 100% pure ingredients and are worn by both women and men. Essential amber oil has been used for centuries for its medicinal and aphrodisiac qualities. The blending of our Ambre Essence, the primary ingredient in all Ambre Blends products, along with other organic essential oils, once activated by the body’s warmth, produces a unique, long lasting, individual fragrance that exquisitely compliments one’s own natural chemistry. Ambre Blends selects only the finest, organic ingredients to soothe your mind and protect your well-being. The mix of these ingredients produces a clean, sensual and addictive essence, which develops a unique scent on each person. Ambre Blends essences will smell slightly different on everyone due to the unique body chemistry we all possess. To experience the true aroma of our essences, please apply oil generously to your forearms and rub them together to begin activating the scent. Use this same technique on your ‘hot spots’, which include the neck and décolletage. Throughout the day, your body heat causes the scent to radiate and blend with your body chemistry while the Ambre Blends scent will become increasingly better and more unique. Re-applying throughout the day is not needed. Our oil essences are like fine wine, they get better with age! Cryoderm – Pain relief that lasts longer The pain relieving cryotherapy in a spray, gel or roll on is fast acting, and deep penetrating. The long lasting cold sensation provides pain relief for muscle sprains, strains, stiff sore muscles, arthritis, joint pain, and more. With all natural plant extracts and essential oils, ingredients such as: MSM, Arnica, Boswella, Eucalyptus, ILEX, Menthol, and Peppermint Oil, Cryoderm is sure to break the pain spasm cycle.